Maury County in Tennessee is known for a lot of things such as home of the 11th president of the United States, James K. Polk; several southern plantations such as Rippavilla Plantation , antique stores, and the infamous week of celebrating the “mule” better known as Mule Day. Columbia is known as the “Mule Capital of the World”. For a week usually the last week of March or first week of April we are transformed into Mule Town. 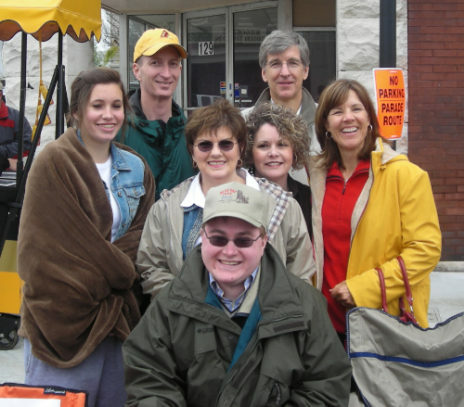 While driving around town during that week, you will see mules of all sizes, horses, wagons, and even a wagon train. 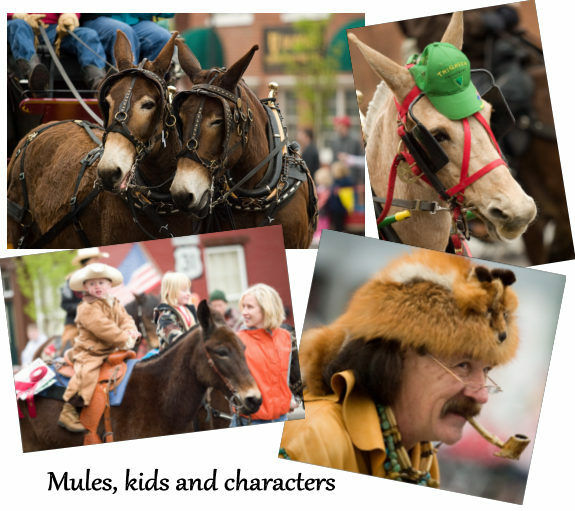 The whole town of Columbia revolves around this celebration for months prior to the “big” Mule Day week and parade on Saturday. 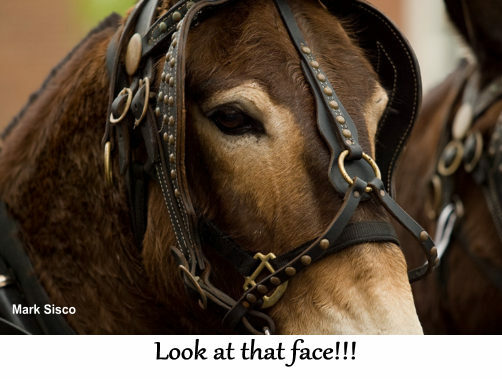 There is a beauty pageant to select the “Mule Day Queen and her court”, a championship mule is crowned, also liar contests, country and bluegrass music, food and more food, a 5k run called Mule Day Kick, a flea market, arts and crafts and did I mention food and FUNNEL CAKES!!! Our local coffee house Buckhead Coffeehouse has a special coffee for the occasion called Hallemuleyah. Don’t get the idea this is just a local thing, over 200,000 people attend and celebrate the “beautiful” mule. If you don’t believe me about the “beautiful” thing check out the pictures below. These pictures were provided to me by my sweet, sweet brother-in-law Mark, who is a fabulous photographer. 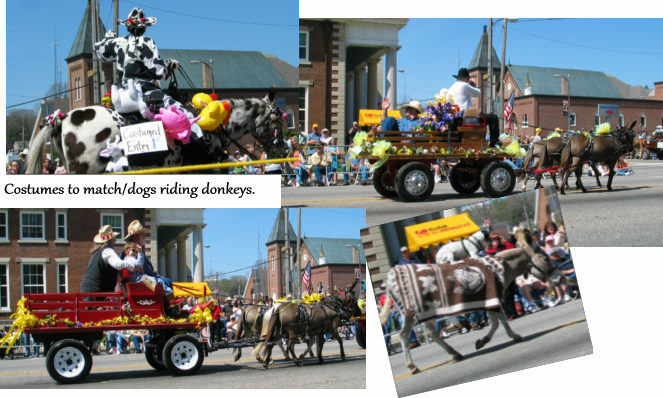 Here are a few interesting shots of the highlight of Mule Day…..the parade! This is all about mules. There is a mule named “Amazing Grace” who was on national television because of the tricks she could do. There are pulling contests, hauling contests and various other activities surrounding mules. 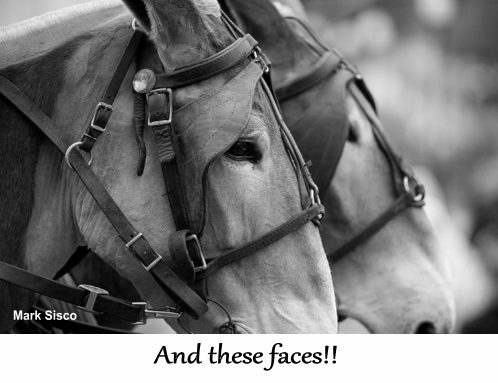 Horses, as gorgeous as they are, come in behind the mules, and I mean literally, at the parade. There are hundreds of mules but everyone who owns a horse for miles around can ride at the end of the parade on their horse or pony. IT”S A SITE TO BEHOLD! Best of all, friends and family come to join in the fun. You should join us on the square and watch the parade. It’s definitely something you’ll never forget and you can check one more thing off your “bucket list”. Can’t believe we’ve never been to Mule Day!